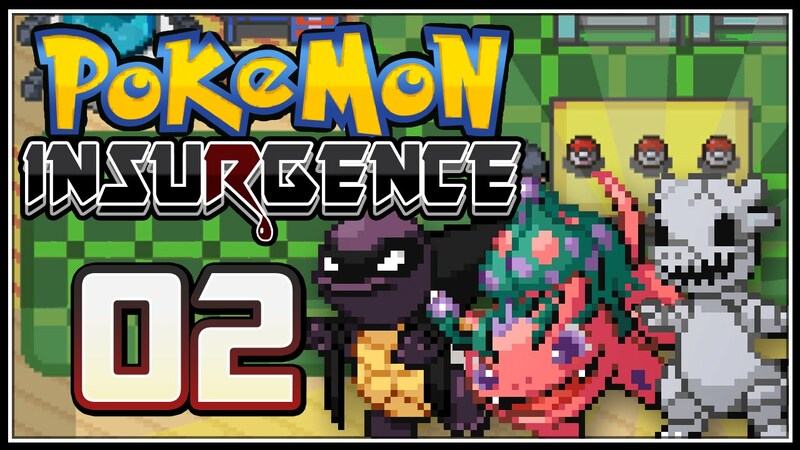 The new buzz in the Pokemon World is Pokemon Insurgence! This is a new and exciting Pokemon game for PC that is completely fan-made. There aren’t that many fan-made Pokemon games available for PC on the internet. Not many that are good at least. In fact, the only other one that I can think of is Pokemon Uranium. Which is a project that took the developers over 9 years to create! However, after Nintendo found out about Pokemon Uranium, they had to pull it off the internet. The developers had to take down the download links and nowadays it’s pretty rare on the internet. 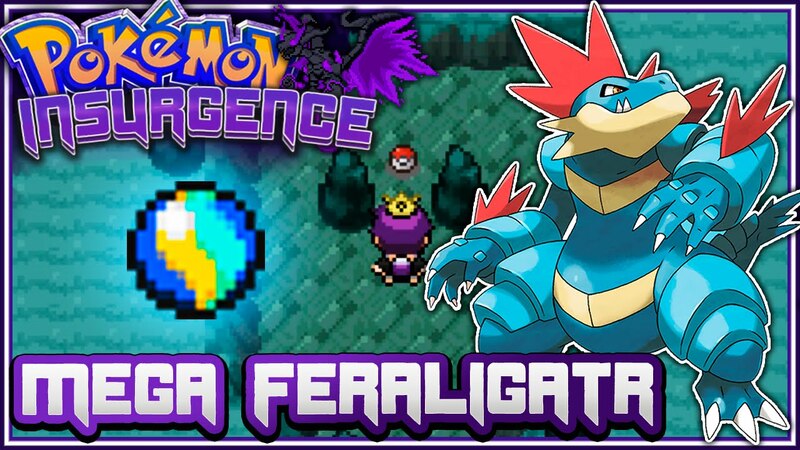 Pokemon Insurgence looks to fill the gap left by Uranium. It aims to be the next version of a fan-made Pokemon game that takes on the PC world, and of course, being a PC game, there is way too much content that you wouldn’t dream to play on a Gameboy or any other console for that matter. 4. It’s a real challenge! You are going to have a lot of fun as you discover this region. It is pretty big and it has many challenges for you to overcome as you play through it. The Torren region is filled with cults and groups of people that have done many bad things to get to the position they are in right now. They have great power. They kidnap, torture and even kill in order to reach their goals. Although it seems like there would be chaos amongst them, there is one person that keeps everything together. He is Torren’s protector. His name is Augur. The problem is that all of the sudden Augur disappears from Torren without the slightest clue of where he might be, how long will it take for him to return? Or in fact, is he ever going to return? But things don’t go south just yet, a man named Jaern takes Augur’s place. Now Jaern is the protector of Torren. But not everyone likes that Jaern took the place of Augur, while some of the tribes and cults on the region respected him, most of them didn’t. Those who don’t respect him are the ones causing all sorts of chaos and bloodshed around the region. Because it is a fan-made game many of these kinds of features have been added to it. This includes an auto-run feature, quicksaving, and in general, many other aspects that are predominantly time-consuming that formed part of the original games. 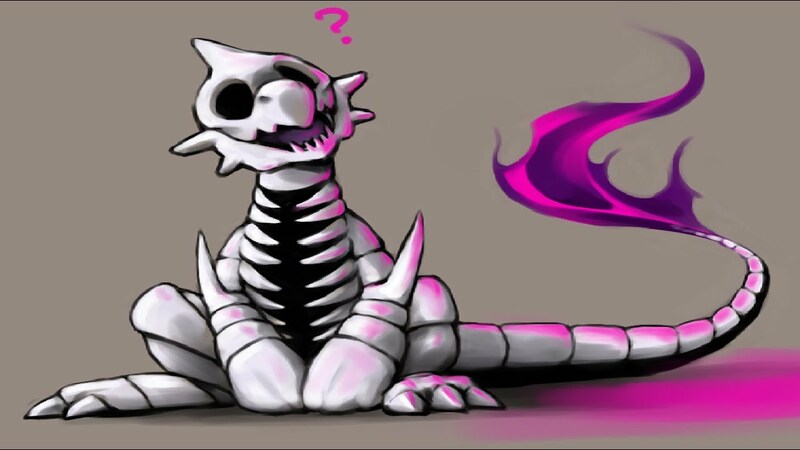 Some of these examples may be healing your Pokemon in a healing station and these type of situations. All of them have been reduced. Making HMs much faster and easier to use may be the biggest feature ever added to the Pokemon Insurgence. There is now no reason to get bored out of your mind when these interactions happen. Some of these actions include the items that perform the functions of an HM, some of them include the flashlight, which can act as a flash and Instant Lapras, which works just like Surf. Thus, making it so several moves can be used in place of a single HM. Also, any move whatsoever can be used as Rock Smash, and various moves, including Bulldoze and Steamroll, can act as Strength. Pokemon Insurgence game developers added a new service, it’s called the Pika-Taxi Service, a move that replaces Fly. What I like about this game is that it has no problem at all showing us every facet of the cults that exist in it. They make it clear as to how cold, cruel and ruthless the cults can be. Just to give you an example of what I mean by it, moments before you arrive at the first town, you get to witness Persephone, leader of the Darkrai Cult sacrificing one of its members in order to invoke Darkrai, which he does successfully. She then proceeds to kill two more members of her cult because they dared her to do the ritual again when Darkrai left. Because of the nature of these acts, and in order to fulfill the requests of many fans and some of the younger crowd, the developers had to create a lighter version, which is free from much of the violent acts that are shown in the original Pokemon Insurgence game. They kept the exact same plot, but they removed all the in-game deaths. The Pokemon Insurgence game starts out pretty much as standard as it gets. It’s made apparent that the pacing of the story and all the gym battles have been slowed down in a sense. This is likely in order to be able to provide a real challenge when you get to the higher tiers. But make no mistake, the difficulty has been considerably amped up. We can see this when we stop and compare the first gym battle we fight, which, although it is still in the mid 20’s, can get you in trouble. By the time you get to the second gym battle, you will notice that the leader uses a Mega Beedrill, which if unprepared, will surely be your doom. When you get to the third gym battle, the difficulty you encounter will be more like the battles you would expect to fight at a later point in the story, which in a normal Pokemon game would be the 6th or 7th gym battle. 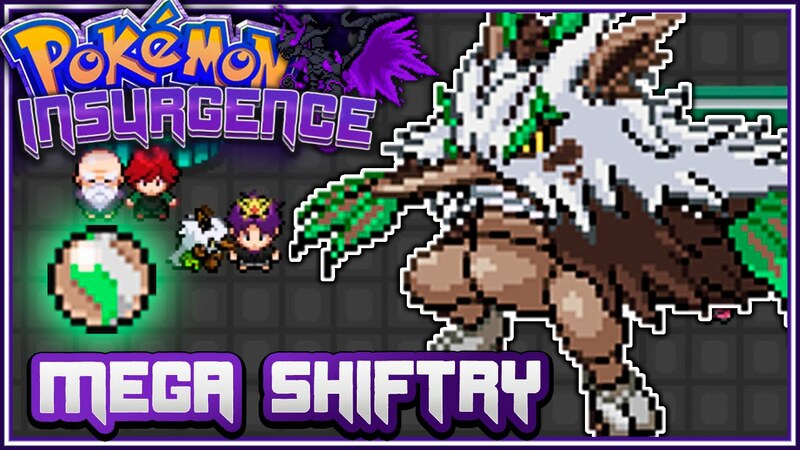 By the time you get to the Pokemon Insurgence game 6th gym, you will see so many legendary Pokemon thrown around by the gym leaders that it will be something casual by then. That kind of behavior is something that typically isn’t seen until after you reach the Elite Four stages in normal Pokemon games. The scientists in the Pokemon world have not been slacking off. In fact, the complete opposite. We get to have a new strain of Pokemon, the Delta Pokemon. This Pokemon breed is the creation of gene mutation and alteration to some of the original Pokemon. They are possible thanks to the modern science in the Pokemon Insurgence world. Of course, they come in different shapes and sizes, and with different attack types and moves. They differ a lot from the ordinary members of their species and as I pointed out before, they learn an entirely different set of skills. They also have much different looking bodies than the original batch of Pokemon. In my opinion, they look pretty badass and they can be very helpful because of the power that they can attain as you level them up. There is a new type of evolution, It’s called Mega Evolve, and in order to do so, the Pokemon must be in possession of the appropriate Mega Stones. The only Pokemon in all of the Pokemon Insurgence game that is the exception to the rule is Rayquaza, it only needs to know the move called Dragon Ascent in order to Mega Evolve. The Mega Evolve can only be used once per battle, and only a single Pokemon from each trainer can do so. Feel free to switch back and forth between your Mega Evolved Pokemon and the rest of the group, because switching it for other Pokemon will not de-evolve it. The only way a Mega Evolved Pokémon can be reverted back to its original form is upon fainting or when the battle ends. If a Mega Evolved Pokémon faints during the battle, and it is revived later on in the same battle, that Pokémon will not be able to obtain a Mega Evolved state anymore for the remaining duration of the battle. Remember when in the old days you traded your Pokemon with your Gameboy and a cable? Well, the Pokemon Insurgence game has it covered too. They use the internet to do the tradings, so no cables are needed for this interaction. 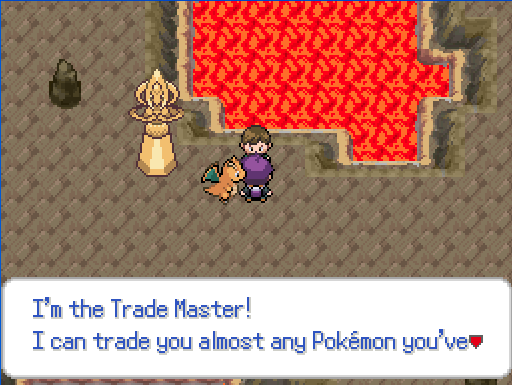 The game also features the evolution of Pokemon through trading like in the good old days. There is also a feature that will let you get inside a safari of one of your friends and let him trade you one of his Pokemon, you are able to get a high-level Pokemon from the get-go, provided you have a friend willing to part with one. If so, you are in luck, you may get one of the new Delta Pokemon with a pretty decent level and be able to storm through all of the first gym battles in no time. I have to say that I was impressed with the quality of the A.I. in this game. It has been very well programmed. It is even capable of using tricks that people use on a real tournament level. This includes a very smart selection of Pokemon and TM moves. They also have an excellent use of held items that, at one point or other, can seriously make up for normal exploitable weakness or the other way around, helping you get the edge over the enemies weaknesses. An example of this is Anastasia, from the Kepler Gym, who uses three air balloons in order to protect three of her Pokemon that normally would have a losing hand against ground type moves or enemies. If that isn’t a great A.I. move, I don’t know what is. You have the ability to create custom moves. What else do you want from a Pokemon game? Although, they are a big crime in Torren. That’s why the Custom Move Tutor has to deal with you in a shop located in the Black Market. He will only make a single custom move for you from time to time. but the top physical attack for each custom made move is 70. The bright side of this is that you get to pick any type of damage for it. It may or may not fit your gameplay. Even so, I would give it a try, you never know. Maybe you will see something I am failing to see. Good luck to you! 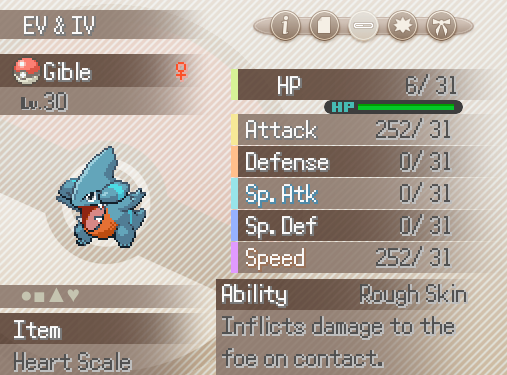 As it is the custom in this day and age of technology and video games, just like in so many other games, in Pokemon Insurgence there are things you can only get temporarily when playing. Some of them being Pokemon and some of them being items like Shiftrite and Zoronite which can only be received as a special promotion via Mystery Gift. The one thing I would like to point out is that once you miss the availability window they will never be available again, you would have lost them forever. Developers have said that it may be possible that these Mega Stones will be available later on in the game once it’s complete, but for the moment you are pretty much just going to be waiting for them. Flygonite was once only a Pokemon which was available temporarily as a mystery gift, but not anymore, you can find it in the game now. I have always been in love with Pokemon, but now that I am an adult-ish I appreciate this new version compared to the old game that I used to play for hours and hours on end. This is a much more suited version of it for people like me, who want a taste of the old, but with a little more mature content. 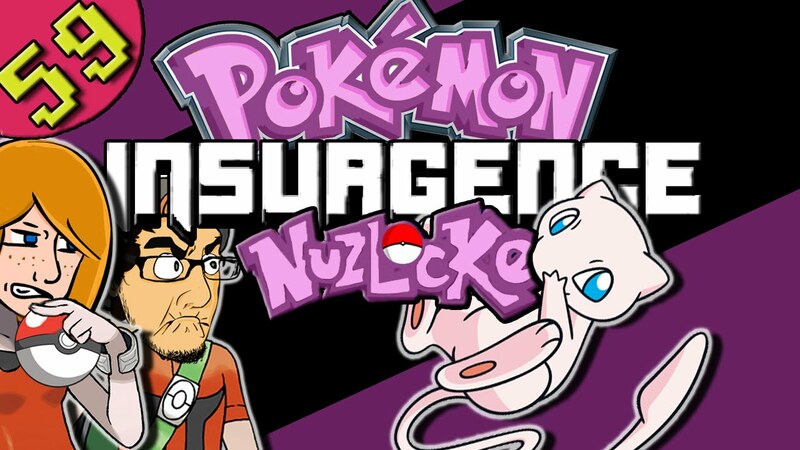 The Pokemon Insurgence game was awesome to play. It is still in beta, though I am sure that once it gets completed it’s going to blow my mind away with the story arc. I definitely recommend it to anyone who loves Pokemon and also enjoys a little bit of blood with their gaming experience. Will you play it? Top 10 Best IO Games – UPDATED 2018 – SUPER Addictive!